This volume brings together selections from the Sanskrit classics of the Ayurveda physicians Caraka, Susruta, Kasyapa, Vagabhata and Sarngadhara who lived between the mid-first millennium BC and the fourteenth century AD. The constituents and systems of the physical body; the purifying nature of garlic therapy; the varieties of Soma juice and how they help rejuvenation; the danger to kings from a variety of poisons including that of the Snake Maiden; rhinoplasty and other kinds of surgical operations; the circumstances leading to the loss of an embryo these are among the aspects of esoteric and common interest which are described in detail here. The translations which are from the oldest extant writings of the physicians rather than later commentaries, are in standard modern English. But care has been taken not to transpose English medical terms onto the Ayurvedic concepts. 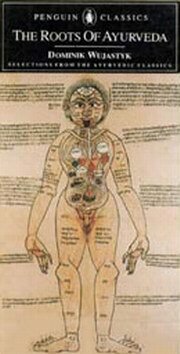 Dominik Wujastyk’s authentic, critical and reader-friendly renderings of original Sanskrit medical texts offer us a glimpse into Ayurveda as a complete, scientific and living medical tradition. Dominik Wujastyk was born in London, and spent much of his childhood in Sudan, Uganda, and Malta. He has degrees in Physics and Sanskrit, and a doctorate in Sanskrit from Oxford University. He works in London at the Welcome Institute for the History of Medicine, where he is Associate Curator for South Asian Collections. He is also an Honorary Lecturer at University College, University of London, and teaches Sanskrit and the history of Indian medicine. His interests include the history of Indian medicine and science, the history of Sanskrit grammar, and the study and preservation of Sanskrit manuscripts (1985, 1998), Metarules of Paninian Grammar (1993), and Critical Edition Typesetting (1996, with John Lavagnino). Bibliographic Information: xvii+400p., Figures; References; Index; 20cm.